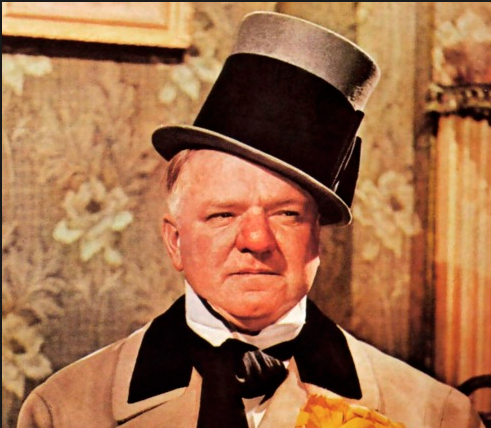 Take a stroll through the New York life of actor-comedian W. C. Fields in the era from 1905 into the Roaring Twenties. Walk in the footsteps of the great performer and see the locations associated with his life before he went to Hollywood. If you are a fan of old theater stories and silent movies, this is the tour for you. The tour provides an overview of the history of Broadway, Vaudeville, New York performers, and Times Square. The history of Prohibition, the Actors Strike of 1919, the rise and demise of Vaudeville, and the colorful stories of the Ziegfeld Follies are also reviewed. The walk begins in Shubert Alley between Forty-fourth and Forty-fifth streets, next to the Shubert Theatre and covers the Times Square neighborhood. See the locations of the theaters, hotels, restaurants, and landmarks tied to the life of W.C. Fields. Among the stops are the New Amsterdam Theatre and Lunt-Fontanne Theatre (both still standing) and former locations of the Earl Carroll Theatre and the New York Theatre. The walk concludes at a former speakeasy once owned by Texas Guinan, for some very Fields-like cocktails. In front of the Shubert Theatre, Shubert Alley (44th Street between 7th and 8th avenues). This tour is designed for tourists, locals, families, and groups of friends. You’ll visit more than thirty locations and come away with a new appreciation for the area. About 1.5 miles (30 blocks). Extra cash as we end the tour where food and drinks may be purchased. Does the tour start and end at the same place? No. The guide will direct you to your next destination. What is the closet subway station? The closest subway Times Square/42nd Street (1/2/3/N/R/Q/W trains). Five minutes walk to meeting point. In Shubert Alley. Look for Big Apple Fanatics Tours Sign. Do we go inside any buildings? Yes. We tour inside buildings open to the public. Dress smart casual, with comfortable walking shoes. The tour operates rain or shine, snow, or heat. In the case of severe weather forecast, you will receive an email from Big Apple Fanatics Tours 24 hours before the tour begins. Yes. There are also restrooms along the route. Yes, dogs are allowed, however NYC subway rules apply. Is the tour appropriate for kids? Yes it is great for families. Yes, reach out here to book a charter tour for 2 to 50 people.